Ringworm can cause severe irritation of the skin, itching and even burning. Ringworm is caused by a highly contagious fungal infection by a class of fungi called dermatophytes. Dermatophytes feed on the layers of skin in animals and humans. The infection they cause results in a red, raised circular rash which looks like a curled up worm. That is where the name of this condition comes from. There are a variety of ointments and creams which can treat a ringworm infection. 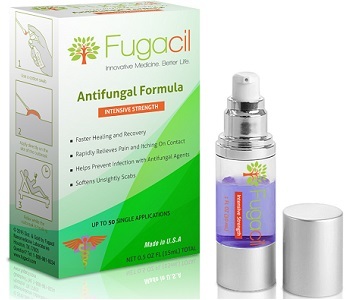 Fungacil Antifungal Formula is a new formula which uses nanoparticle technology. These nanoparticles are designed to eradicate the fungi that cause a ringworm infection. The active ingredient in this product is silver nanoparticles. These nanoparticles enter the fungal cells and release silver ions which are toxic to the fungi. Some additional antifungal ingredients include Melissa Officinalis Essential Oil, Astragalus and Melaleuca (Tea Tree) oil. These ingredients affect the fungal cell membrane, interfere with its metabolism and enhance the immune system. Geranium Maculatum, lavender essential oil, and thyme have also been included to soothe itching sensations and promote skin healing. This ointment also includes vitamins A,C and E which help the skin to heal. The ointment must first be applied to a cotton swab. The cotton swab must then be used to apply the ointment to the affected area. According to the manufacturer, just one application is enough to treat the infection. If the infection does not clear, the ointment can be applied three times a day until the infection clears. This product is not safe for pregnant women. It also should not be used near the eyes. One bottle of ointment containing 0.50 fl oz of ointment can be purchased for $29.95 online. There appears to be no discount for buying in bulk. Fungacil offers a 60 day money-back guarantee if the customer is unsatisfied with his/her results. There are several customer reviews for this product, most of which support the product. 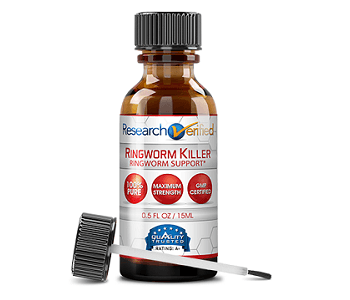 There are some reviews which state the the product was not strong enough on its own and needed to be used along with prescription ringworm treatments. The ingredients used in Fungacil Antifungal Formula have been scientifically verified and the product itself has undergone clinical trials. The directions for use are fairly straightforward, but the manufacturer does not specify how long customers should wait after the initial application to begin applying the ointment 3 times a day, which could allow the infection to advance. The price of the product is reasonable and there are customer reviews and a guarantee provided by the manufacturer. Scientific studies have shown that silver nanoparticles can cause silver deposits in body tissues which take a very long time to clear. There have been some short term studies which suggest minor damage is caused by these deposits and some which suggest no damage is caused. However, there are no long term studies on these silver deposits yet. For now, we believe there are safer products on the market.